As before, this painting I also did for practice. 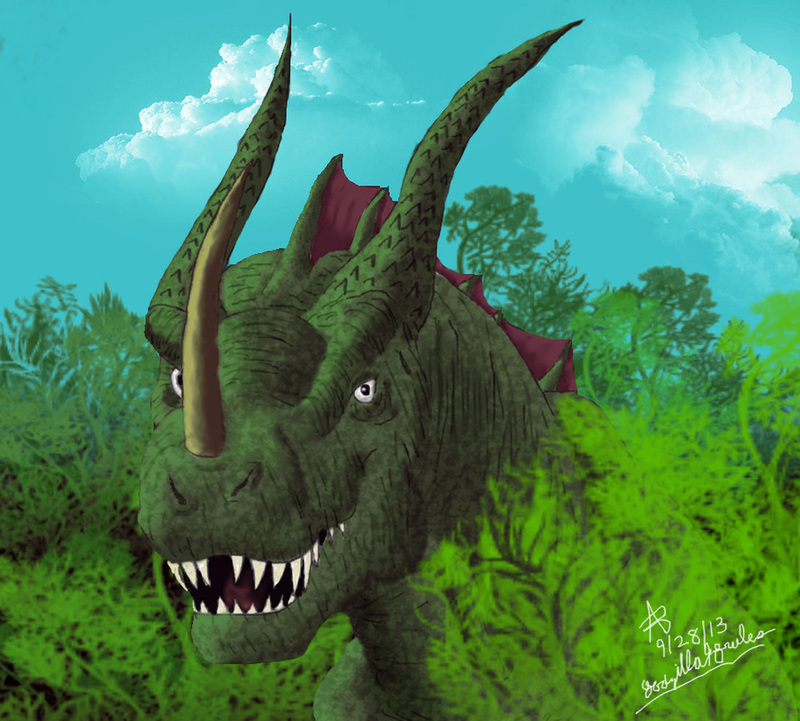 I painted this after drawing a sketch of a dragon using a Tyrannosaurus head as a base. This is my latest digital painting as of this post (9/28/13). As the other one, I am impressed with how this painting turned out, and couldn't be more happy with it.